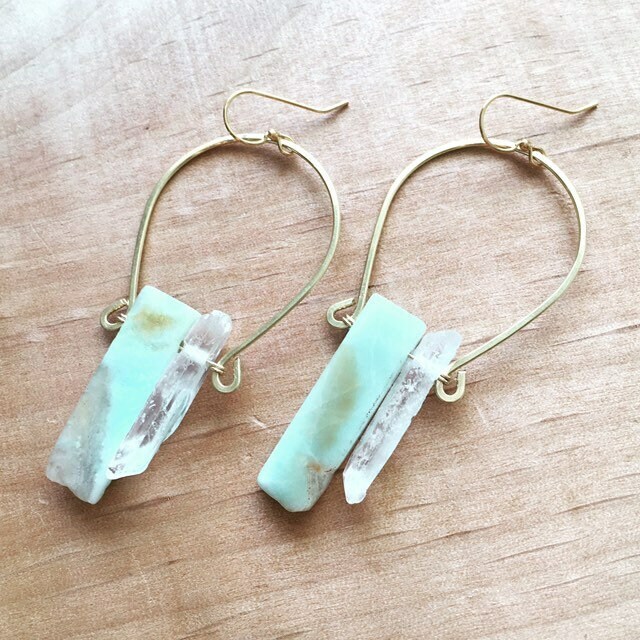 Hand hammered hoop shape holds an Amazonite stone and clear Quartz. 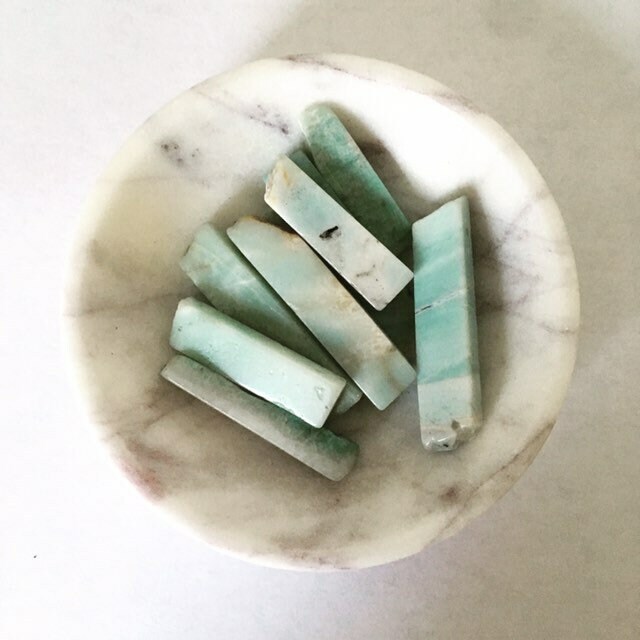 Amazonite is a natural stone and each piece varies greatly in size, shape, and color. We try our best to match the two stones, but they will not be identical. This imperfection is beautiful. 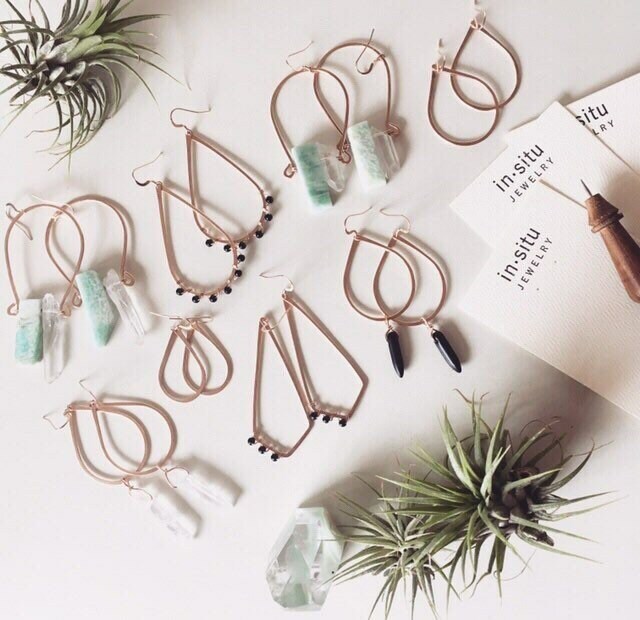 Available in brass, Sterling silver, 14k gold-fill, and 14k rose gold-fill. 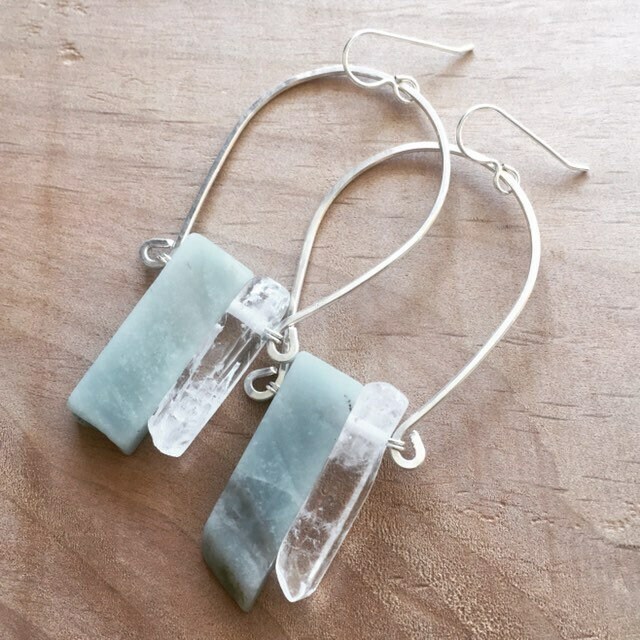 Earrings measure approximately 3-1/2” in length.